Description: Wonderful "bokashi" shading; life-like reflection; nicely detailed. 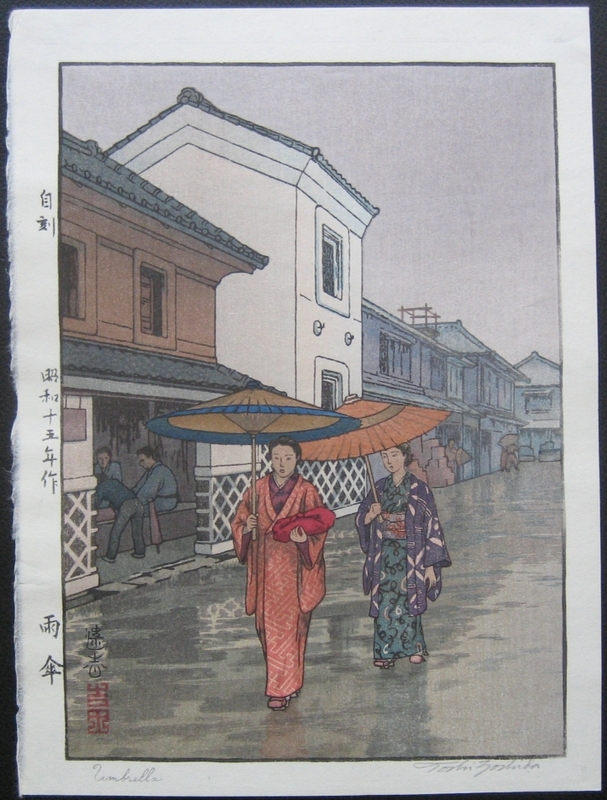 Beautiful, rainy streetscene. "Jikoku" seal (upper left) indicates blocks were self-carved by Toshi. The print is chuban size measuring 10 1/2" x 7 3/4" with the image area being 9 1/4" x 6 3/4".